Without saying a word you will be able to captivate all those around you wearing these stunning Burberry™ sunglasses. Acetate plastic frames and temples. Iconic Burberry™ pattern through both stems. 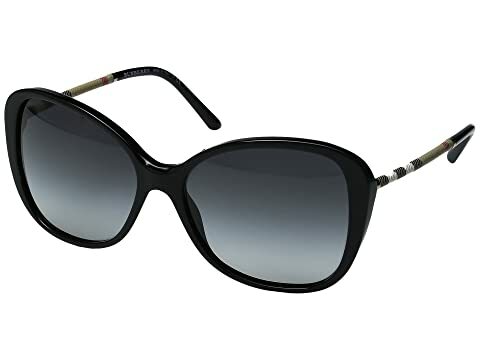 We can't currently find any similar items for the 0BE4235Q by Burberry. Sorry! I’m so happy with these! Big enough to cover my eyebrows but not so big that they overwhelm my face. I have long lashes and they don’t touch. LOVE!